Extra Specifications: Digitizing Oscilloscope Mainframe -discont. The HP 54120B Series of digitizing oscilloscopes combines high bandwidth, a time domain reflectometer, four input channels, and superb stability in an easy-to-use, fully programmable oscilloscope that needs no manual loop gain adjustment. 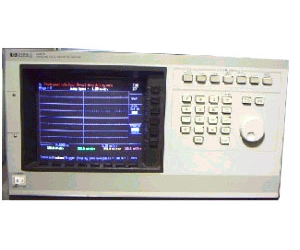 Whether your application involves a high-speed digital device, interconnect or circuit characterization, high-speed telecom analysis, or microwave design, the HP 54120B Series of digitizing oscilloscopes gives you a new confidence in state-of-the-art measurements.